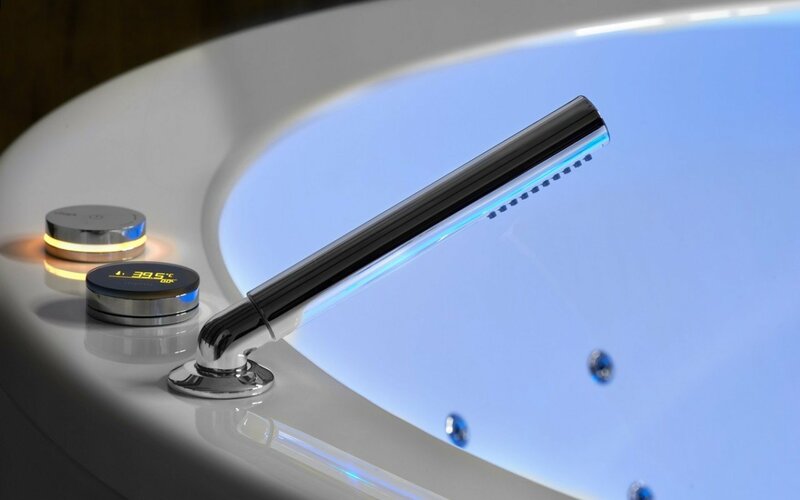 There is nothing like the first impression, and as far as first impressions go, the Multiplex Trio electronic bath filler with its colorful LCD display is striking. First and foremost, the design simplicity of the faucet is appealing. The optical feedback from the interface of color and light is unique and eye catching. The simplicity of its operation makes it a great choice for any homeowner, not just the technology enthusiasts. 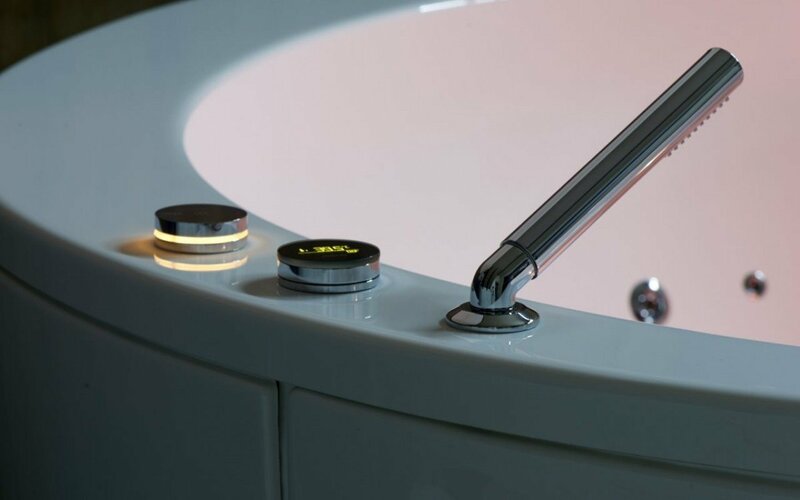 Every tap function can be controlled with a single wheel and the digital display, which shows the water temperature and current water usage when showering along with the ability to set the temperature precisely. There is nothing like the feeling of constantly hot water when taking a bath or showering. The water temperature remains the same - even if someone opens a faucet or flushes the toilet. 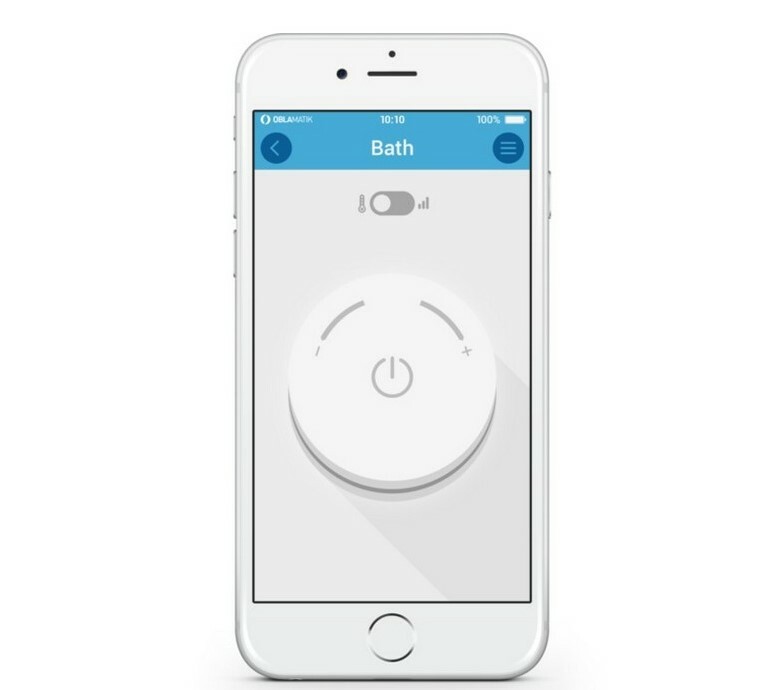 Works with iPhone/iPad App - simply and quickly install the app to operate your bath/shower set and set to your needs, from any location!